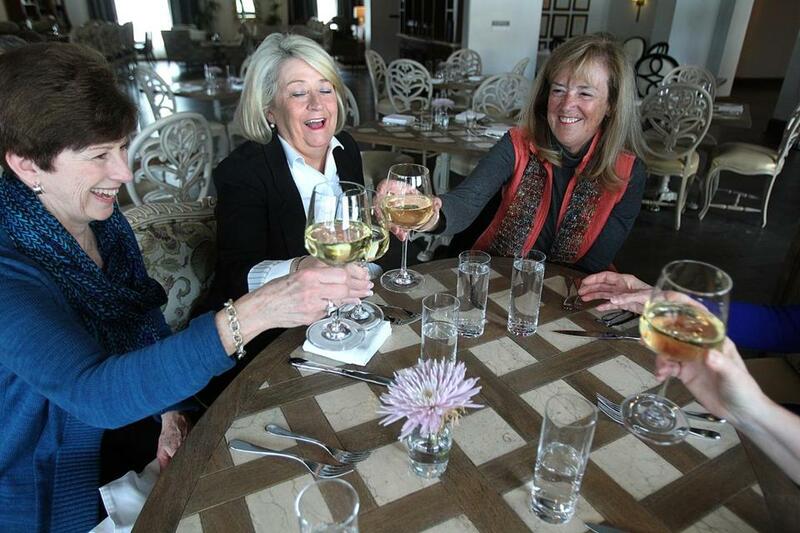 From left, friends Anne O’Neill, Claire Loughlin, and Nancy Betz dine at the Mirbeau Inn & Spa at The Pinehills in Plymouth. The Pinehills offers developments for a variety of ages. The kids have moved out, and the yardwork and shoveling have gotten old. Really old. What to do? Real estate developers across New England have anticipated your situation and — they hope — every desire you might have once you turn 55. Maybe you want to live near a French manor-style inn and spa with steam rooms, a hot tub, and opportunities to take cooking classes and enjoy wine tastings. How about a luxury town house close to good shopping, quick access to Boston, and an elevator for when the stairs become too difficult to climb? Perhaps you want to take classes and hear lectures, meet people with the same interests, or live on a golf course close to the beach. As the lifestyles of people age 55 and older change, the real estate offerings are shifting as well. Planned communities for active adults — many are no longer advertised as “retirement communities” — offer different amenities, but they typically have several core things in common. Exterior maintenance such as snow removal, landscaping, and maintenance of common areas is done for you. Many are new, with open floor plans and energy-efficient features. If the units don’t have a one-floor plan, the designs allow for the master bedroom and a full bath to be on the first floor. Newer developments recognize another trend: Many younger empty-nesters don’t really want to downsize. While they don’t require four bedrooms anymore, they want the one or two they do need to be larger and the rest of the living area to be spacious and open. The Northeast might not have always been thought of as a destination for older adults, but the 55-plus communities in New England benefit from the fact that parents want to be near their adult children and to enjoy the arts and culture a major city offers. And in many cases, the people who buy in these communities haven’t retired yet and need easy access to their office. From a single-family house in a gated community to an apartment on a college campus, the choices for people age 55 and older who want to live near their peers seem endless. “They’re moving from the big house in the old neighborhood to a new house near people in the same station in life,” said Geoff Rendall, vice president of sales for the New England division of Pulte Homes, which operates six 55-plus communities in New England, including two under the Del Webb brand. The amenities of communities in the region are diverse, and so are the prices. There are manufactured homes, such as those in the Oak Point development in Middleborough, which are situated around a clubhouse, pools, and tennis courts. Prices start at $199,999. At English Commons in Topsfield, a gated community with a library and heated pool, condominiums can approach 4,000 square feet and are priced in the mid- to high-$800,000s. In the middle are developments such as WestRidge in Hudson, which sits on 31 acres and advertises amenities such as “pocket parks” that are “reminiscent of timeless neighborhoods like Boston’s Beacon Hill.” Condos start at $364,000; single-family homes at $490,000. Take note: Association fees can range from $250 to more than $1,000 per month, depending on what is included. For Claire Loughlin and her husband, a return to her Eastern Massachusetts roots and being closer to their daughter in Boston preceded their move to Plymouth. The Loughlins had been living in rural Somers, Conn., and found there wasn’t much to do once their children had moved away. Loughlin had retired, and her husband mostly worked from home. Loughlin was happy to find Seton Highlands, a 55-plus community where she could build a detached condo large enough to host her family during the holidays. The newsletter she receives every morning telling her when the snowplows will be by, and when the garbage will be picked up, is a bonus. Condos in Seton Highlands start in the high $500,000s. The community has a clubhouse and pool, and it benefits from being in The Pinehills, a large planned community consisting of several housing developments (some without age restrictions), as well as a retail center, post office, two public golf courses, walking trails, tennis courts, and the Mirbeau Inn & Spa, which has a fine-dining restaurant and a bistro, as well as fitness facilities and spa treatments. Also in The Pinehills is Great Island, a Del Webb community that has a lifestyle director to manage dozens of clubs geared toward connecting people with a common interest. For some people, that interest is traveling. For many people, the security of knowing their home will be fine if they want to leave for six days or six months is a major selling point for condos in these communities. 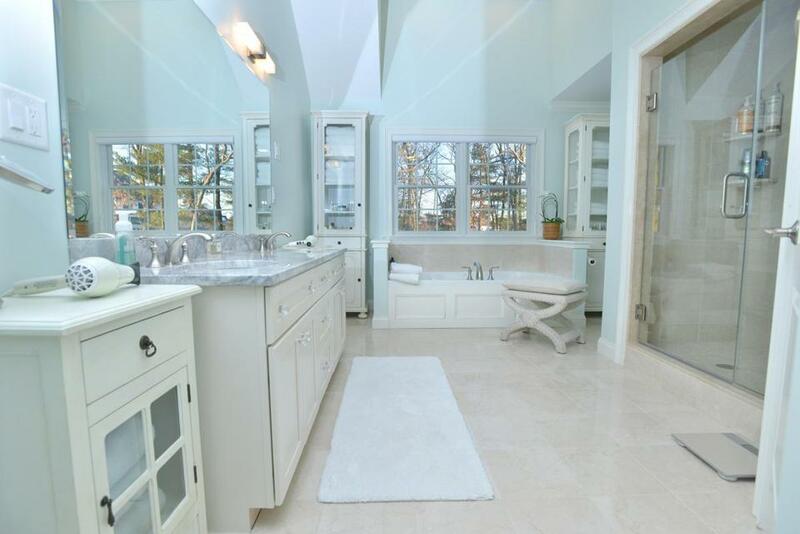 Pam Birmingham lives in Lynnfield’s Windsor Estates. The community doesn’t have a pool, but emphasizes elegance. 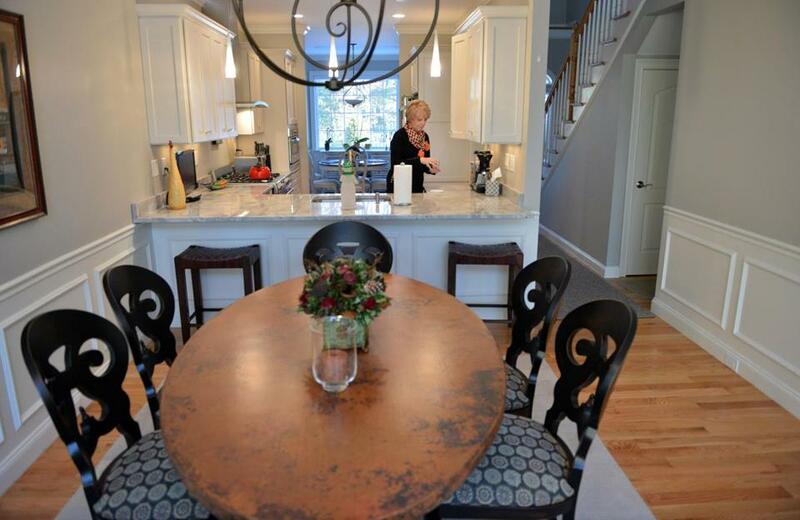 Pam Birmingham and her husband lived on two acres in Boxford but wanted a new home with fewer maintenance responsibilities that was closer to Boston. They bought a unit in Windsor Estates, a gated community in Lynnfield close to Market Street, a shopping and dining destination. “We wanted a simple life, to shut the door and travel,” Birmingham said. Windsor Estates has 44 units, fewer than some other communities. It doesn’t have a pool or a clubhouse, but emphasizes elegant craftsmanship (think crown molding, hardwood floors, and wainscoting). Town homes start at $819,900 and can feature two master bedroom suites, one on each floor, and options to add an elevator or a fireplace in the finished basement. For those who want a more intellectual retirement, an independent apartment on a college campus is an option. One such “affinity community,” named because residents are drawn together by similar interests, is Lasell Village, on the campus of Lasell College in Newton. Residents are required to continue their education, and the development also provides short-term rehabilitation services and a skilled-nursing facility. Some planned communities have no on-site health care support and resemble any other housing development in function, appearance, and financing, while others offer independent living and assisted-living and long-term care. The financing for these communities is typically not a traditional mortgage, but a “life lease”; buyers pay cash when they move in, and when they leave, they are returned all or a portion of the lease amount. Jane Bent and her husband decided that they didn’t need as much space as their longtime home in Brookline offered. After decades of living on the third floor of a large building, Bent wanted something that felt like a cottage, as well as the opportunity to take a fitness class or hear a lecture. The couple settled on a “villa”-style unit in Fuller Village, an independent-living community in Milton, where residents buy a life lease. Fuller Village anticipated Bent’s concerns. It offers an indoor pool, yoga, Zumba — and someone to shovel out your car.